Dr. Souheil Y. El-Chemaly will give a presentation about lung transplantation at the 26th Annual HPS Network Conference, to be held March 8 – 10, 2019 at the Long Island Marriott in Uniondale, N.Y. Understanding the process of lung transplantation will help those with Hermansky-Pudlak Syndrome decide if this is the right option for them, as well as help them prepare for the process. Advanced planning can save time when time matters most. Dr. El Chemaly is the Clinical Director of the Center for LAM Research and Clinical Care and a physician at Brigham and Women’s Hospital (BWH). 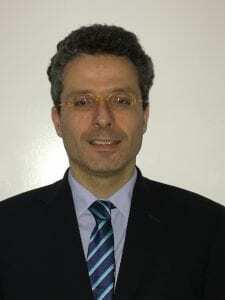 He is also an Assistant Professor of Medicine at Harvard Medical School. His lab is also currently researching Hermansky-Pudlak Syndrome. Dr. El-Chemaly’s clinical interests include interstitial lung disease, lung transplantation and lymphangioleiomyomatosis (LAM) and Hermansky-Pudlak Syndrome. His recent clinical research examines the impact of interstitial lung abnormalities on mortality and lymphatic vessel formation after lung transplantation. He has written over 30 peer-reviewed publications and has received funding from the National Institutes of Health.